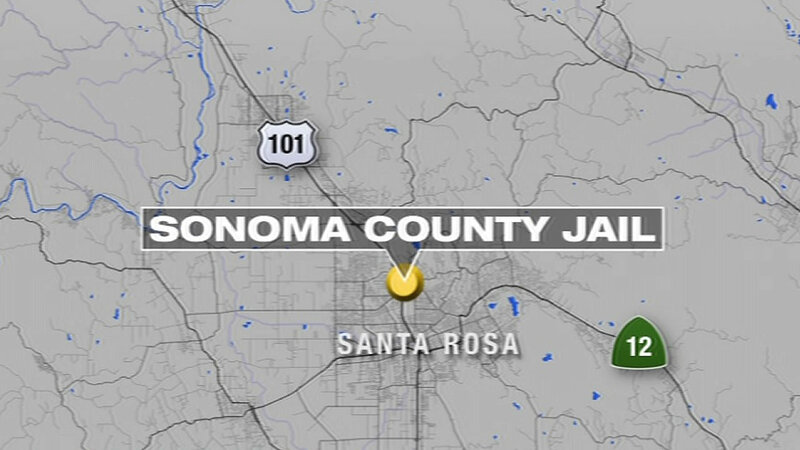 SANTA ROSA, Calif. (KGO) -- In Santa Rosa, two inmates briefly escaped a transportation bus at the Sonoma County Jail before they were caught. It happened early Tuesday evening. The escape prompted a search that included the Kaiser Medical Center's parking lot and they were told to lock their doors. Sheriff's deputies say one suspect was caught behind a bank of Bicentennial Way at about 5:15 p.m., which was about 30 minutes after the search began. The inmates are brothers who were in court earlier on Tuesday. Joshua Feddern-Wiles pleaded guilty to domestic violence and his brother, Christopher, pleaded guilty to burglary.